There’s been a lot of hype online for One Deck Dungeon and I decided to pick up a copy to see what all the fuss was about. It’s a small box with cards, lots of little dice, some cubes, and a little rulebook. 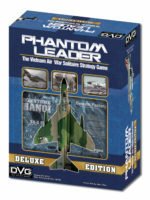 It’s a solo or two player game out of the box. 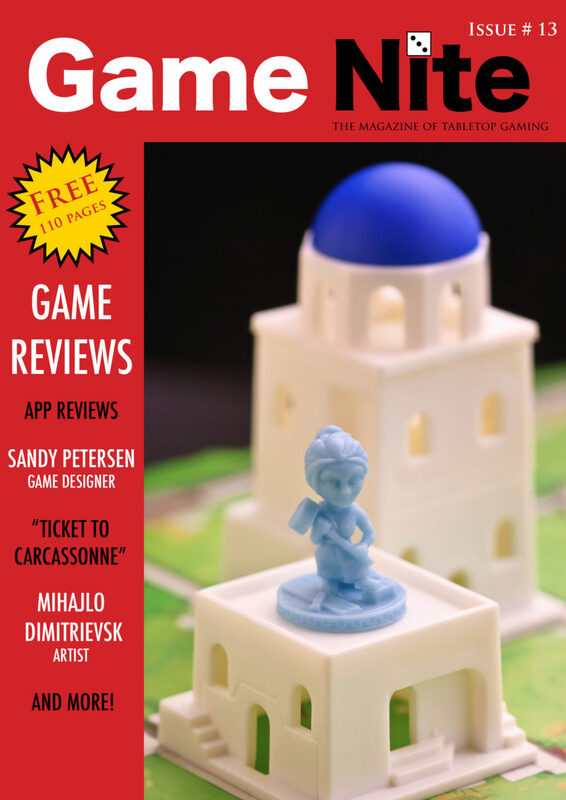 Higher player counts require additional copies of the game. I tried it out solo – Wow! There is a lot of game in this little box! 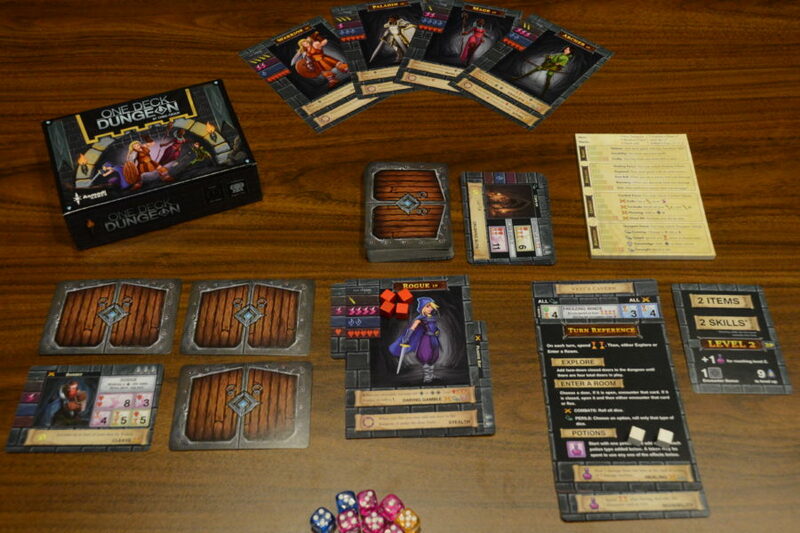 Designed by Chris Cieslik and published by Asmadi Games, One Deck Dungeon is essentially a mini dungeon crawler. You take on the role of your usual fantasy class types, Mage, Rogue, Paladin, etc. Interesting to note however is that all the classes are women. No male characters at all. My 8 year-old daughter liked that a lot! After choosing your character, and choosing your dungeon rated easy to hard, you assemble your initial dice. The dice are different colors and represent strength, agility, and magic and differ from character to character. Moreover, you will have special abilities that allow you to gain additional hero dice or heal damage. On your hero card is indicated your health or hit points. 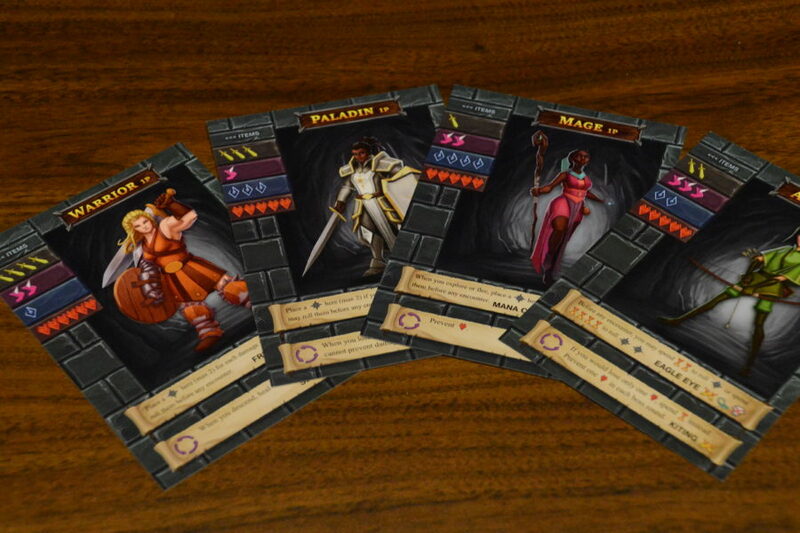 On your turn, you expend time by discarding 2 cards in your dungeon deck, and you can “Explore” which adds up to four possible rooms (Encounter Cards) to enter or you can “Enter a Room” which results in Combat Encounters or Peril Encounters. Lastly, on the Turn Reference card, a white cube is placed on the potion section. Each cube represents one use of any potion placed under the card including the one already printed on it. In Combat encounters, creatures have special abilities that will make your battle more difficult. You roll dice and place them on the card to meet the required numbers or higher based on the type of dice required. Two dice of any color can be exchanged for a one-time use black hero die of the lowest value of the two dice you exchanged. You get those colored dice back at the end of the encounter. This helps mitigate requirements that might be too difficult because perhaps you don’t have enough strength or agility dice to meet the check. It’s very possible that you can still “beat” the creature, take the loot but pay the consequences which is usually made up of losing health points and possibly time (discards of the dungeon deck). Lose too much health and you lose the game. Health can be regained with various potions. Peril encounters are handled a bit differently. Here you will have a choice between two checks both require a different type of die and one is always harder than the other, and each with its own consequences should you fail. 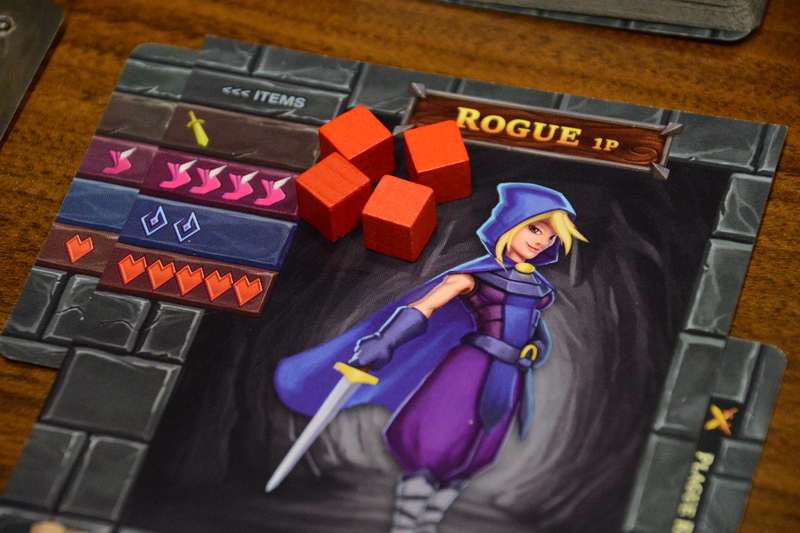 If that weren’t hard enough, in either case, as you roll dice to beat your foe, you will also need to beat the dungeon floor or suffer the consequences. Once you get through the dungeon deck and you reach the “stairs” card at the bottom, you advance down to the next level of the dungeon. Shuffle up the encounter cards and start another round. After three, you will face the dungeon boss on the flip side of the dungeon card. Hopefully, you have gained enough XP to level up, have more dice, potions and skills necessary to fight the horrible beastie — they are tough to beat. 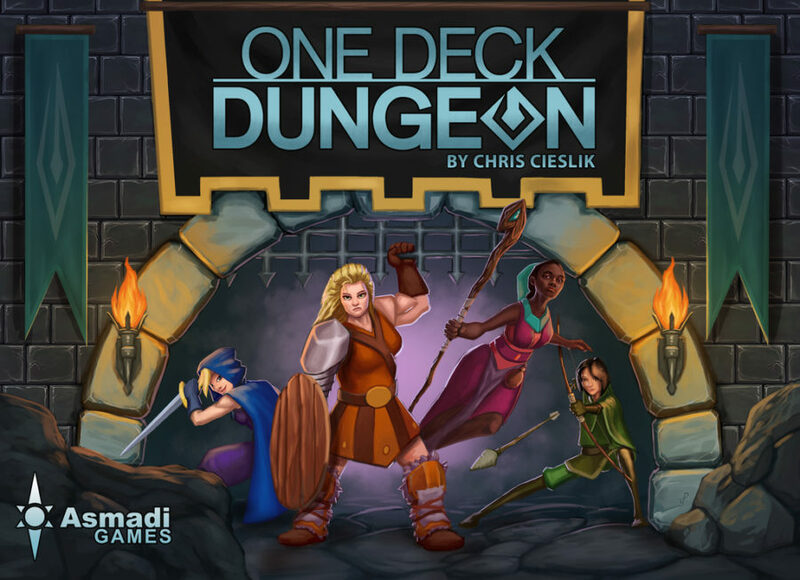 All the player character in One Deck Dungeon are women! When you can claim a card as loot, which may or may not involve suffering consequences, that card is multi-purpose. Once you choose, you can’t voluntarily change it to something else. Although there are some cards that allow you to convert one type of loot to another. A claimed card can act as experience points that allow your hero to level up or it can be equipment, which means you can get an extra die or more. It can be a special skill/new ability that you place at the bottom of your hero card or it could be a new potion you place under the Turn Reference card. All heroes begin at level one which limits how many potions they can have, how many skills they can use and how much equipment they can carry which translates into how many of each die type they are allowed to roll. Leveling up is key to winning the game as well as playing the included campaign mode. I wish the box was a bit bigger for those of us that like to sleeve cards. Although not a huge issue if you toss the simple insert. However, what about expansions? This game is the new solo hotness right now and I think more cards and “stuff” would be very welcome. Depending on what gets added, the box might get a little tight. Lots of characters to choose from with different abilities. This game is an ingenious design. Having the encounter card be a multi-purpose loot (reward) card is a great idea. What type of loot will you use that card for? XP? More dice? Or a really cool special ability that comes in handy later? Don’t forget about those potions! That’s where a lot of the strategy in this game resides – the risk/reward from the choices you make. Sure, it’s a bit random with success hinging on the card flip and the required die rolls but the strategy in this game comes from the balance of how you use your dice, skills and potions together. One Deck Dungeon has a lot of replayability. Nothing heavy here to be sure and a fair amount of randomness. Lots of variety on the encounter cards. Different heroes to play. Different dungeon difficulty levels. Different bosses to face in the end. 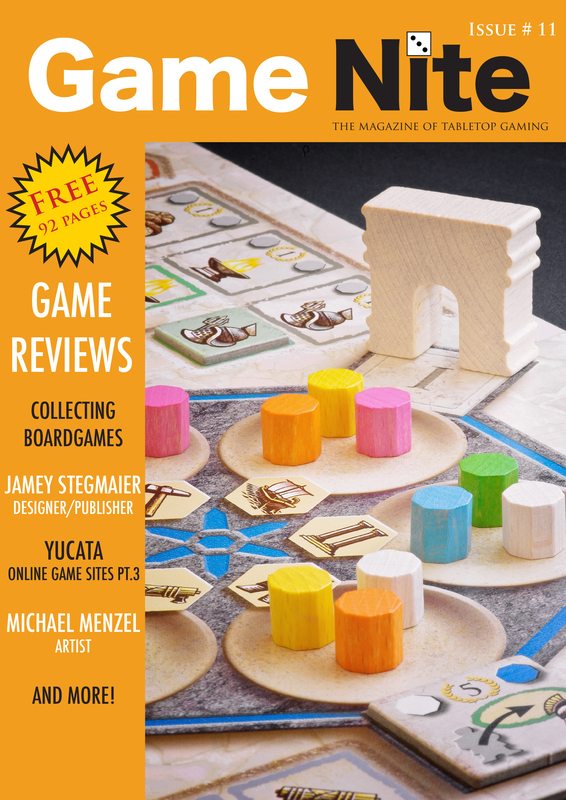 Although the rulebook does have some ambiguity in it, a visit to the BGG forums should address most questions. Otherwise, One Deck Dungeon is fantastic compact card-based, dice chuckin’ dungeon crawler worthy of the hype train it’s currently on. 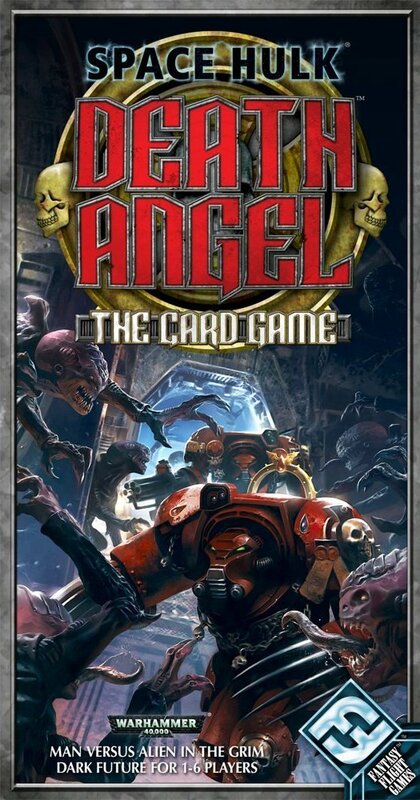 Space Hulk: Death Angel – The Card Game is a cooperative card game for 1-6 players from Fantasy Flight Games and Games Workshop set in their Warhammer® universe. You are a squad of soldiers clad in powered-up, mechanized armored suits rippling with weapons making your way through a giant space “hulk” of a starship, infested with aliens called Genestealers. You don’t need to have any knowledge of the Warhammer® intellectual property – just think of it as your space marines doing battle with xenomorph aliens from the popular movie franchise Alien. Since this is a cooperative game with all players trying to win (or lose) together, this makes a great solo adventure. But don’t get your hopes up, the aliens in this game are relentless and don’t often lose. You start by selecting your marines (or choosing randomly) which come in pairs, each assigned a color. Each pair of marines comes with a color-matched set of three action cards. Each pair of marines has different abilities than the others – some may be better at attack, or defense, or movement. The “board” is set up with a set of locations at the top with the top-most card flipped to show where you are and also displays setup information. Beneath are your marines randomly distributed in single column but the first three face to the left and the bottom three face to the right. On the location card will be the terrain cards that get assigned to spaces on either side of the marines. These include ventilation ducts, doors, control panels, and hallways. Most objectives require you to make your way through the space hulk to the last location and escape with at least one soldier still alive while other objectives may require a different end game requirement. 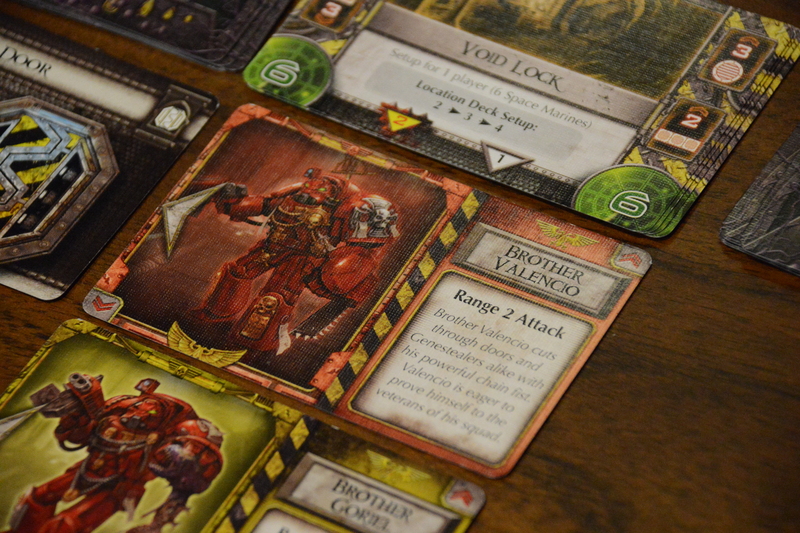 Finally, to the left and right of the location card are small piles of face down Genestealer cards, called blip piles (again, think of space marines in Aliens and their motion trackers), from which aliens will spawn and attack your marines from each side in the column formation. Set up and ready to play (and most likely lose)! Each turn involves four phases. First is the Actions Phase where you choose which action cards you will activate – one for each set of marines. However, you cannot choose the same action card in a set in back to back turns. Second is the Resolve Actions Phase. Actions are now resolved based on the lowest numbered card first. 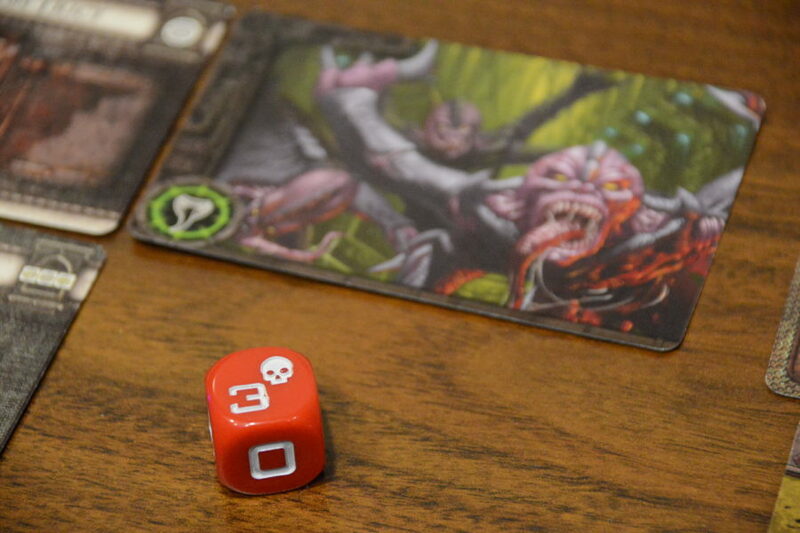 Some action cards apply to both marines while others may only apply to one of “Your Brothers.” When using an “Attack” card, the dreaded “skull” die is rolled. A skull indicates you have killed an alien (50/50 chance). 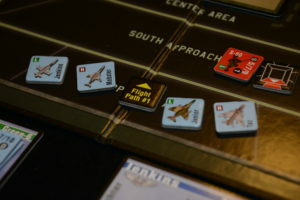 A player can also choose “Move and Activate” which allows you to change up your formation and move marines around, change their facing direction and activate a location. 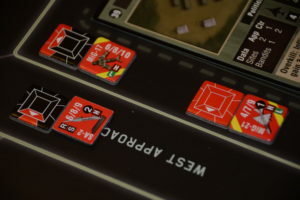 The last type of card is the “Support” which allows the player to place support tokens on marines to allow for re-rolls of the die or allow for activations when subsequently playing “Move and Activate” cards. Once all of your actions are done, then it’s time for the Genestealers Attack Phase. The more aliens in the swarm adjacent to a marine means it’s easier and far more likely that the marine will get attacked! One hit on a marine and they are eliminated form the game. Once each swarm on each side of your marines attack, you flip an event card and follow the text in the Event Phase. (hint: it’s usually bad) Also the card will indicate where more Genestealers spawn, from which blip pile they come from, and specify their movement within your squad’s formation. The game continues until you make your way through all the locations in the scenario and complete your objective or the aliens eliminate all your hardened space marines. After one or two plays you’ll understand how to play the game. But, don’t be fooled! This is game is hard…really hard. The skull die is unforgiving. Even with a 3 in 6 chance of rolling a skull, it seems they never come up often enough. 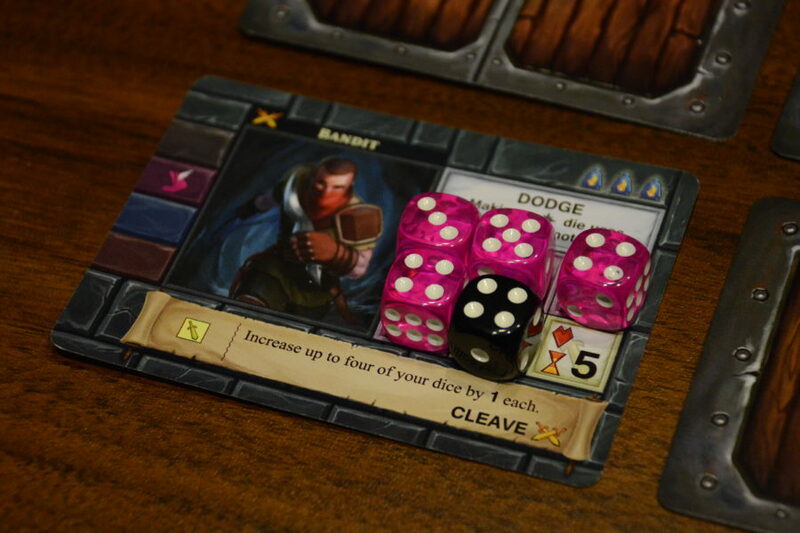 The randomness of the die roll is what makes the game exciting. Reading through the forums on BoardGameGeek online and you will notice a recurring pattern – loss. But quite honestly, if it were too easy, this game would not be as popular or fun as it is. When you do win, often times, you will do so with a lone marine or, if you’re lucky, two left – and it feels really good! It is quick to set up and as your marines get killed by aliens you can return their cards to the box which makes clean up a breeze. 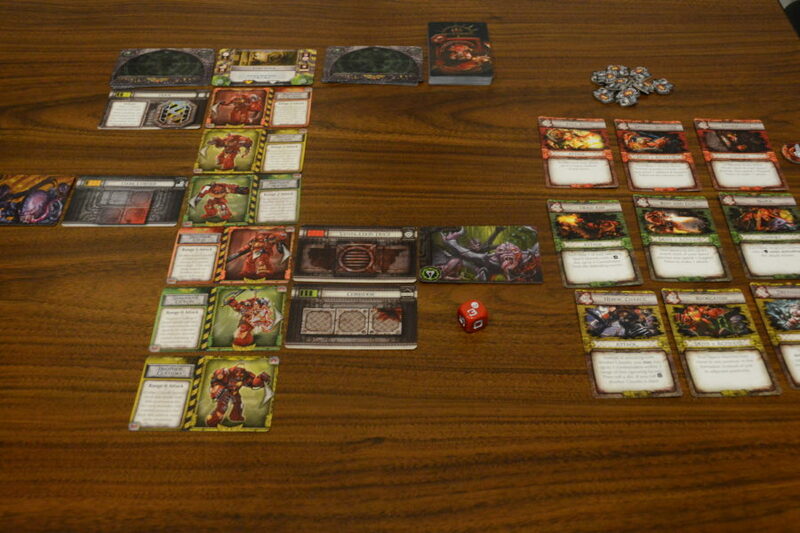 Space Hulk: Death Angel – The Card Game makes top 10 solo game lists every year since its initial release in 2010. There are a couple of expansions that offer some more scenarios as well as some additional soldiers to choose from for your squad. It’s an alien beat down that is thematic, challenging and a rousing great time! 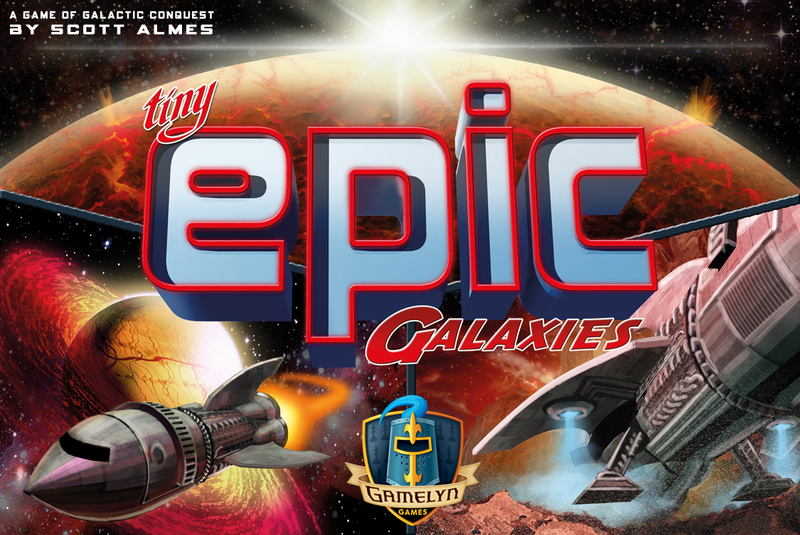 Tiny Epic Galaxies continues the Tiny Epic line from Gamelyn Games with what is quite possibly their most popular entry in the series yet. 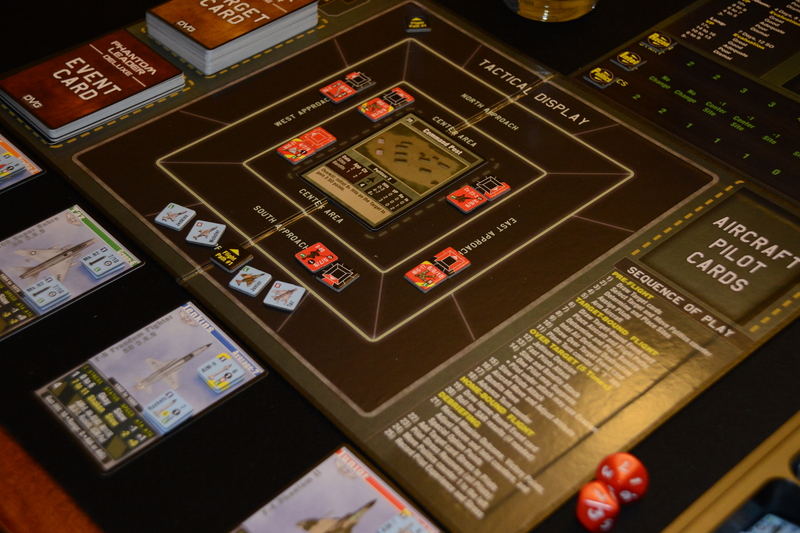 Designed by Scott Almes, you are in control of a small fledgling empire. Dealt cards in the middle of the table represent planets that may not only provide different resources but also add victory points and special abilities to your empire when you colonize them and add them to your empire. You roll dice that allow a player different actions like move a ship into orbit which over time allows you to colonize that world and add it and it’s special ability to your empire. You can also gain culture to advance your empire as well as gain energy which can allow you to re-roll dice. The game comes with official solitaire rules where you are battling another empire, called the Rogue Galaxy, for control of space. The AI comes in five degrees of difficulty ranging from the introductory beginner to the nearly impossible to beat “epic.” The first player to 21 wins the game. Move your ship – Place a ship onto a planet (4 are dealt to the middle of the table) to gain it’s resource (energy or culture) times the number of planets you have landed on, or put your ship into orbit which over several turns can allow you to take control of the planet and gain victory points. Energy/Culture – Either die face gains you the number of either resource as indicated by the number of ships either that are in orbit or landed on a planet that provides the applicable resource. Diplomacy/Economy – Either of these die faces allow your ship to advance on the track orbiting a planet with the matching symbol. 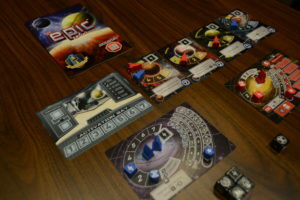 As you progress around in orbit (the longer the orbit and thus more spaces, the more victory points the planet is worth) Once you reach the end of the track, all ships are returned to their respective owners, you place the planet card under your galaxy mat (play mat), you gain the special ability and the victory points associated with it. 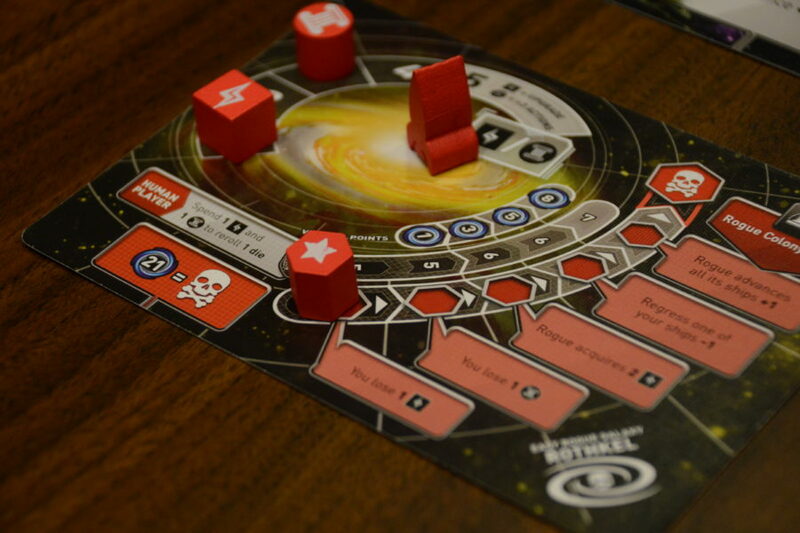 Utilize a Colony – this last die face allows you to trigger one of your special abilities of your empire. You can also trade in two unused dice to convert a third unused die into any face you want. 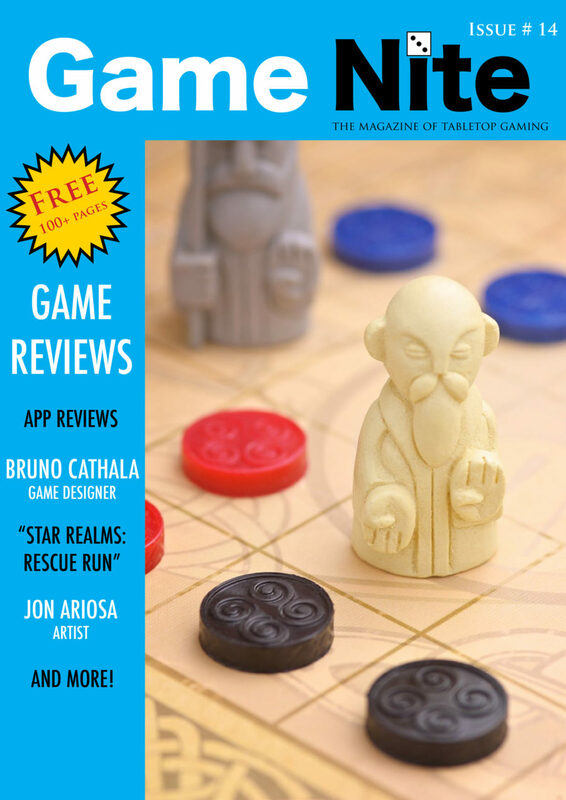 After you have spent all of your dice, the Rogue galaxy takes his turn. The Rogue Galaxy starts with all four of his ships and 5 dice that you roll one at a time, perform the action and then continue. For example, the Move Ship action means the AI places a ship in orbit on the left most planet card where it does not have a ship. The AI gains Energy and Culture the same way as well as Diplomacy and Economy allowing the AI to race you for control of a planet. As the Rogue Galaxy gains culture it increases its dice pool, which gains extra VPs and the energy increase means it will “level up” and future attacks on you will change. When the AI rolls the Utilize Colony action, it will attack your empire zaping energy or culture from you or forcing you to return a ship home. If the AI cannot use the die face, then the AI does nothing – that’s a good thing. A very cool mechanic in the game allows the solo player to spend a culture of your own empire to “follow” or copy the action a die rolled by the AI. A mechanic reminiscent of Eminent Domain’s “follow” action. Planets ripe for the taking! Pretty simple, right? It is. It is not a complicated game. Don’t be fooled however by this small box game. 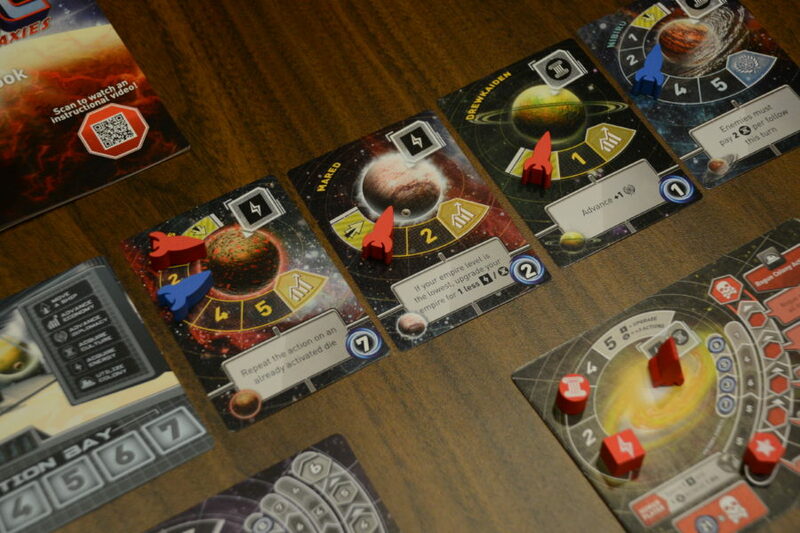 The Rogue Galaxy AI can ramp up very quickly and gain lots of points fast. 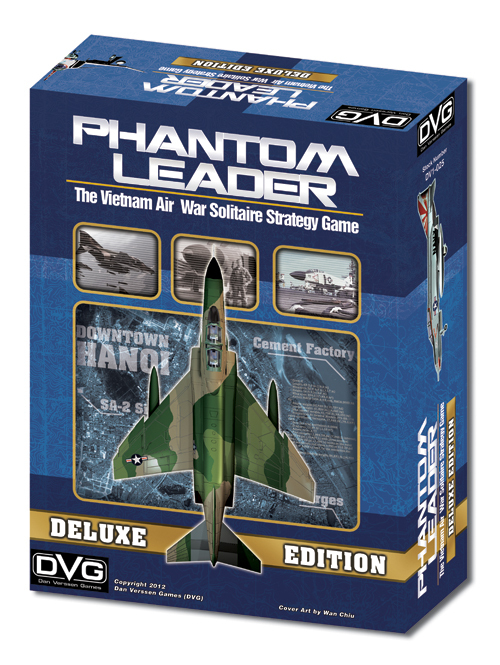 This is a great press-your-luck dice roller filler game and it doesn’t take up a lot of table space. It’s not very deep and although there is some luck involved with regard to dice rolling, that luck can mitigated through the conversion of two unwanted dice to a die face of your choice. Additionally, falling behind can be diminished by using the “follow” action as long as you have culture to pay for it. Tiny Epic Galaxies plays fast and allows you to make some decisions and the dice rolls, both of the player and the AI, allow for some press-your-luck excitement. Considering the overall popularity of this game, an expansion is on the way in 2017 that provides more planets as well as secret missions and ship pilots with special abilities. Tiny Epic Galaxies is a must-have, fast dice roller for the solo player.